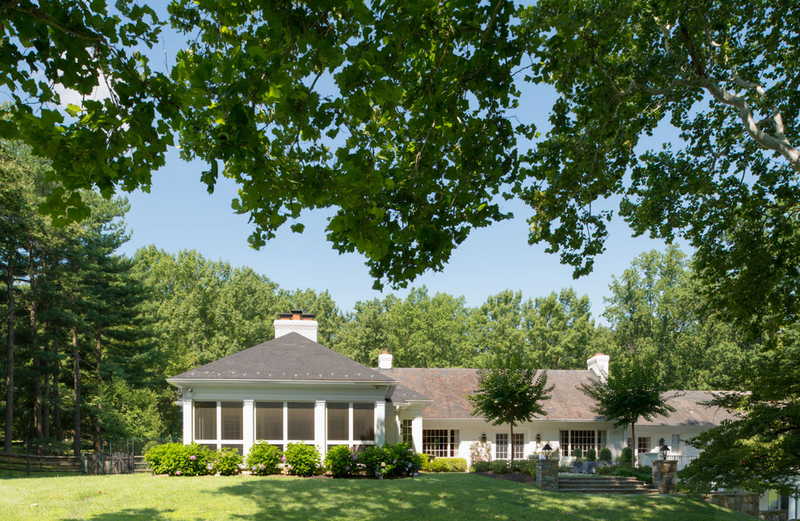 The client’s original instructions were to tear down the existing ranch house and build a new home. A change in circumstances encouraged us to scale back the project and reconsider modifications to the existing house and landscaping. A new loggia with an adjoining pool helps to conceal and integrate the house’s original bedroom wing with the rest of the structure. 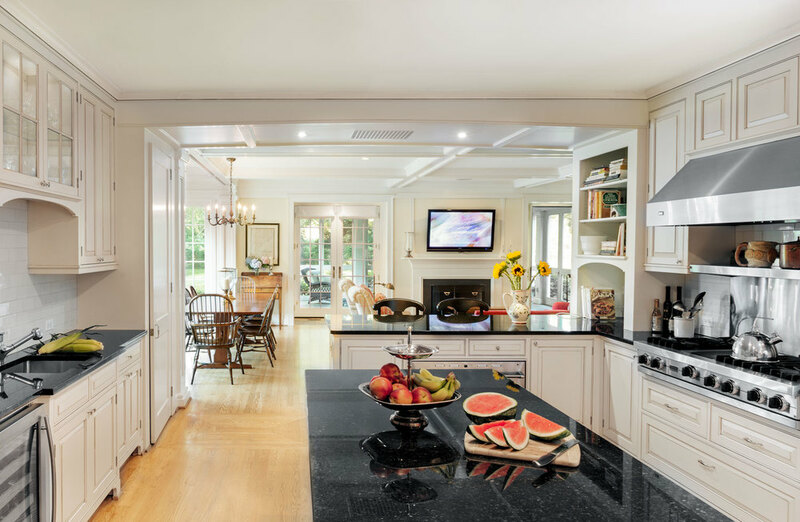 A kitchen, family room, screen porch and mud room were added at the opposite side of the house and create an exterior courtyard and seating area above the pool. 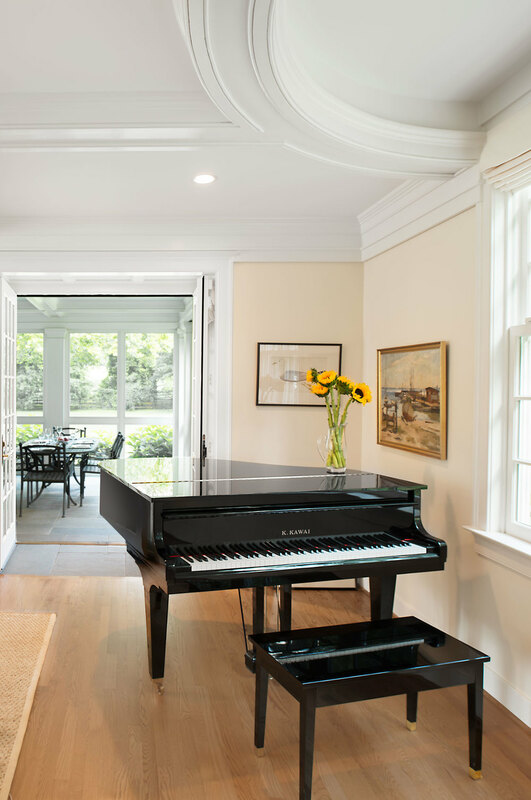 Extensive landscaping and regrading integrate the interior of the house with the new landscaping and exterior spaces.